Today is colour day on The Good, The Bad and The Divine! oki-ni has something in store for the guys who want to add some bright styles to their wardrobe. 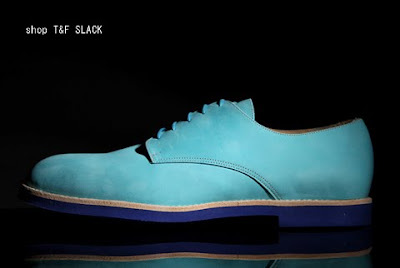 For example shoes by T & F Slack. Husband-and-wife duo Tim and Fiona Slack's collection of classic footwear shapes is a perfect mix of traditional British charm and sharp contemporary styling and comes in vibrant and daring colours. 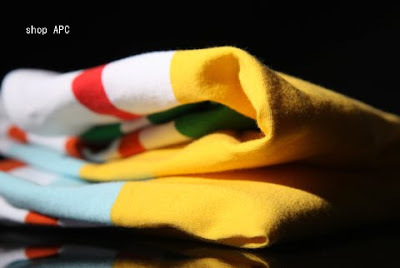 Or a vibrant striped T-shirt by French label A.P.C. which arrived at oki-ni this week.